In 2009, when artisan soup makers Tracy Lipschitz and her daughter, Alexi Kitay hit the stove making soup, they had a “let’s see how it goes” plan. Soon selling over 60 soup varieties at Gauteng’s weekend foodie markets, Tracy and Alexi knew exactly how it was going. Week after week, people would make a bee-line back to the Soup n Stuff stand, quaff shot-glass samples of new menu additions; and take home tubs of their favourites – always a tough choice. Within 3 years, the reputation of Soup n Stuff grabbed independent retailers’ attention. Tracy and Alexi now focus on their 30 best sellers, offering you a sumptuous array of vegetarian, vegan as well as meat-, chicken- and fish-based soups. What’s more there’s the range of gourmet take home meals – ideal if you detest the idea of supermarket heat ‘n eats. Meals are mostly made to order so please enquire if you need more details of the range on offer. Exotic in taste, aroma, texture and colour, each of the different soups and meals are inspired by Tracy’s and Alexi’s love for culturally diverse influences and non-compromising insistence on quality ingredients. Anything that’s second-rate is banned from their kitchen. The same applies to hormone-infused meat and poultry. Only free-range, grass-fed meat and chicken are allowed in. Soup ‘n Stuff continues to evolve. More than a business, it’s art. Edible, of course. A Bowl of 'Liquid Gold' Please? 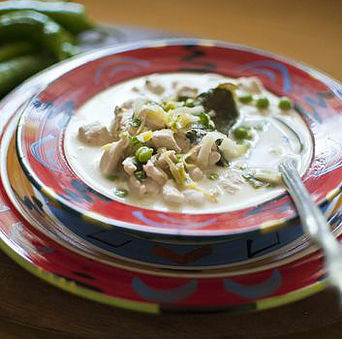 As winter sweeps through the country, what better way to spend it than cosy under a blanket, with a warm bowl of soup? Well, for one Johannesburg lady and her daughter, the weather doesn’t play any role in it being a worthy day for some good broth; rather all that’s needed is pots of passion and a sprinkle of imagination. Known as the soup lady, Tracy Lipschitz and her daughter, Alexi Kitay, have spent a mere four years inventing more than 60 different types of home-made soups. “We’ve got approximately 65 different soups, we have a vegetarian range, a vegan range, a meat, chicken and fish range and shellfish too,” says the bubbly Tracy. And it isn’t just the diversity of ingredients that make Soup n’ Stuff’s broths stand out from the usual canned soups picked up from the grocery store. These soups are made with fresh produce, with special attention to detail paid to every pot of brew. 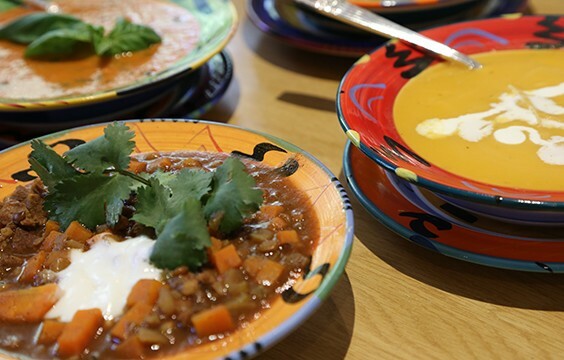 “These soups are all home-made, they are preservative free, they are mostly free-range chicken and meat, they are organic vegetables as much as possible. My soups are, if its tomato, then it’s made with tomato, it isn’t thickened with potato it isn’t thickened with flour. It is what it says it is,” says Tracy. From a creamy broccoli with mint, to a hearty oxtail and butternut soup and a soothing salmon chowder, Tracy says the most innovative mixture she has come up with is her pomegranate with meatballs soup. But the hard work isn’t just coming up with the ingredient mixtures, executing those ideas may lead to hours of stirring every day. “With about 4kgs of onion, it can take up to an hour or so of sitting and stirring, so you try to do other things in between, but you just have to constantly keep an eye on it, so it doesn’t start burning,” says Alexi. There are no complaints though, because for Tracy and Alexi, seeing the faces of their content customers at the Jozi Food Market in Parkhurst, make it worthwhile. 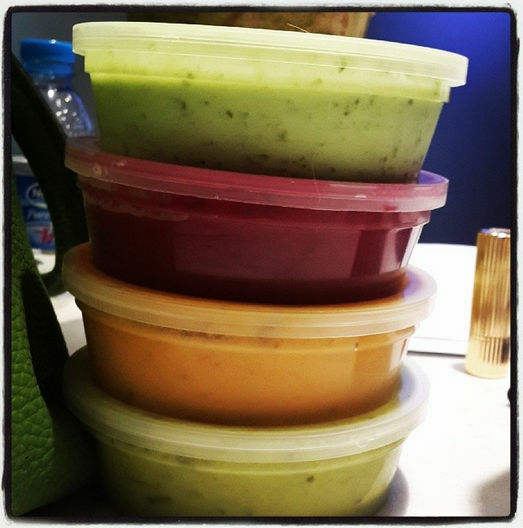 One customer enjoys the soups so much that she refers to it as “liquid gold”. “I think the soup is absolutely fantastic and the fact that there’s this entire range is just amazing. Tracy is really… she makes liquid gold,” gushes Lauren McDermid. For most of us, winter is usually the time for a comforting bowl of soup. But for Tracy and her daughter, every day, is soup day. Check out the video and gallery of Tracy and Alexi at work making and selling soups. Beetroot, Cranberry, Orange & Mint - A refreshing cold summer soup. Carrot, coriander & orange - Fabulous hot or cold! It’s cold and rainy and you don’t feel like venturing out in search of sustenance. Or it’s late, the shops have shut, and there’s no time to cook anything elaborate for supper. Or you’ve got a bunch of people coming for lunch and nothing but braaied chops to offer them. With any luck, you’ve had the foresight to stow a few fabulous soups in the freezer from the Soup Lady — also known as Tracy Lipschitz — and so, problem solved. A former caterer, Lipschitz realised three years ago that what she most liked was inventing soups. She and her daughter, Alexi Kitay, have devised some truly lovely examples, all neatly categorised as meat, chicken, fish, vegetarian and vegan and sold under the label Soup ’n Stuff. Oxtail and butterbean, made with chunks of meat, the odd veg and Guinness; roasted red pepper; Iranian legume noodle soup, with butter beans, split peas, chick peas, baby spinach, preserved lemon and lots of dill; and Thai tom yom soup with tofu. It’s all preservative free and the meat and chicken are free-range. Those of us who watched Seinfeld religiously back in the day might remember the soup nazi, a tough guy who made wonderful soups but refused to serve them to people who offended him. “No soup for you!” he would shout, grabbing back the crab bisque or the mulligatawny. Lipschitz is just the opposite. She is so accommodating that she makes different versions of the same soup for people who aren’t into, for example, low-fat yogurt — you can have the tomato, garlic and basil, or the avocado soup with cumin, coriander and preserved lemon, or the roasted red pepper with or without yogurt or cream. “People wanted non-dairy soups more and more,” she says, so she does what she can. The vegan list is growing, but the biggest sellers are still chicken peanut noodle soup and oxtail. Sweet potato, butternut and ginger, made with coconut milk, does really well; as do summer pea and chives, and carrot, coriander and fresh orange. On the way, as soon as the season begins, is Jerusalem artichoke. “The Jerusalem artichoke has a very earthy, mushroomy smell and flavour and the truffle oil that we finish it with just enhances that,” she says. When they make it, “it just flies out”. They’ve added meals to the list — among them slow-roasted leg of lamb and a vegetarian paella — and condiments, including delicately flavourful Moroccan preserved lemon. 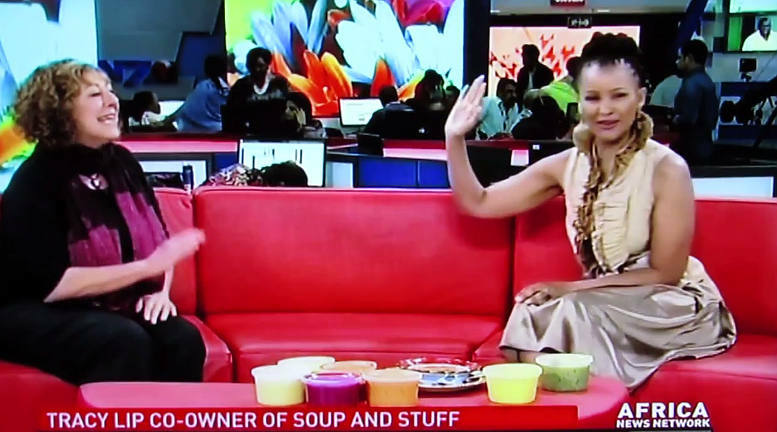 Soup ’n Stuff has been nominated for product of the year in the Eat Out DStv Food Network awards, and ­earlier this month the Soup Lady was pondering which three to send to the judges. Find Soup ’n Stuff on Saturday mornings at the Jozi Food Market at the Pirates Sports Club, Braeside Road, Parkhurst; at Oaklands Farm Supply on Pretoria and Kruger streets in Oaklands; or at soupnstuff.co.za.